Is this a major or minor issue? When you’re driving along and see this icon, what do you do? Most drivers are unsure or do not know what that light even means. This light may be the most misunderstood light in your dash and can be caused by many different things. 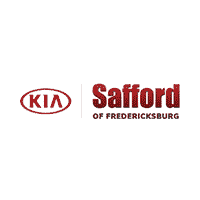 At our Woodbridge area Kia service center, your safety is our biggest concern. That’s why we want to explain what this dashboard indicator means so you know when to go visit our service center for further assistance. Your car’s onboard diagnostic system (OBD) is constantly monitoring your vehicle to make sure all the electronically controlled systems in your vehicle are working properly. By doing so, your car is making sure that your engine is producing enough power, getting the proper fuel economy, and not polluting the environment. When your check engine or service engine light comes on, it may be something as simple as a faulty gas cap. Our Kia service department near Woodbridge recommends checking your gas cap first to make sure that it is on secure. If the cap is loose, properly tighten it and give the vehicle a drive cycle or two to reset the monitor. If the gas cap was already tight, the check engine light may signal that a system has failed and needs attention. Unless other gauges in the vehicle read normally and your vehicle seems to be operating correctly, visit our service facility to have them run a diagnostic on your vehicle. In the rare cases that your check engine light is flashing red, we suggest you take as much pressure off the engine and find a safe place to pull over to call roadside assistance. Don’t take your beloved car, truck, van or SUV to a second-rate service center! Please call (540) 274-0261 to schedule your appointment.